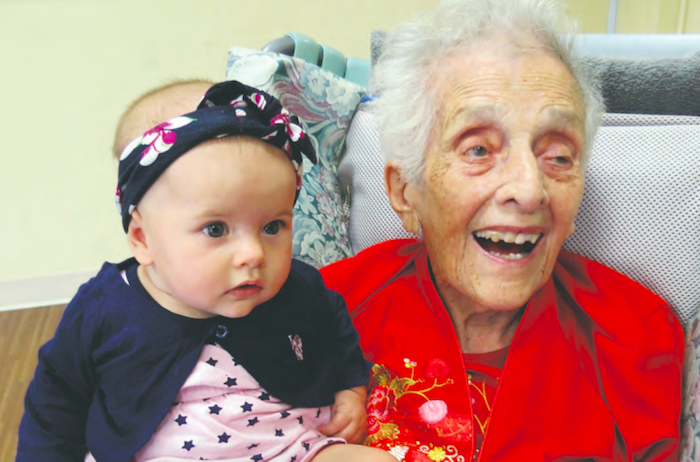 Cecile Efros Klein had two birthday parties last month, and given her remarkable status as a supercentenarian, who could blame her for going all out! 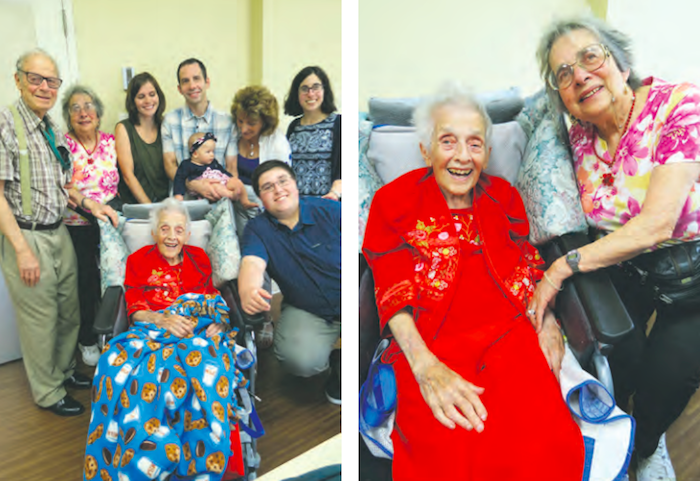 Klein turned 111 on June 15, making her the second oldest person in Quebec, almost four months younger than Sarah Patenaude Bruyère of Gatineau, born Feb. 20, 1907. Klein’s first party was celebrated at Maimonides Geriatric Centre, where she now resides after falling at home and fracturing her pelvis. The second party was held June 27, enabling two of her children, Arnold Klein and Louise Van Bibber, to fly in from California to celebrate with their mom and enjoy ice-cream cake provided by her Montreal daughter, Harriet Nussbaum. Surrounded by three generations, including great grandchild Hazel Elizabeth Latt, Klein was beaming with obvious pride and joy, bathed in family love. “Very happy,” she said, her eyes twinkling. “I’m sure everything’s right,” she remarked. The story of Cecile Efros Klein is a living testament to a part of Montreal history. She has three children, eight grandchildren, seven of whom are alive, and 17 great grandchildren, and one great great-grandson. While vastly improved health care is main reason for increasing longevity, Klein’s active life has done her good, working from a young age, volunteering, and staying active and involved in her later years. But there is more to her story than that. Genetics appears to be an important element in her longevity, family members said. 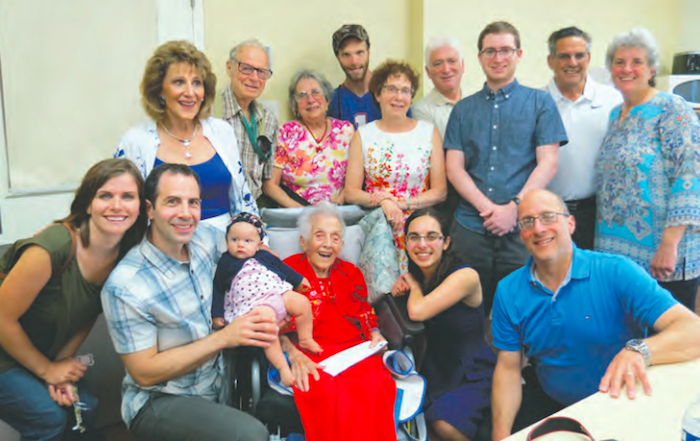 “Her great great-grandmother lived until 103,” At 111, Cecile Klein is a witness to Montreal history Van Bibber said, adding that after the Great Depression of the 1930s there had been little stress in her mother’s life. Born in Montreal, in 1907, Klein was brought up on Notre Dame W. near Peel, where the Dow Planetarium was later built, daughter to Rebecca Pearson and Louis Efros. Her father ran a haberdashery store on Saint Hubert near Beaubien. The family, including Louis’ brothers Hy and Fred and sisters Bessie and Lillian, were active in the Beth Hamedrash Hagadol synagogue at 1887 Notre-Dame W.
“Bessie would play the piano and Lillian would give readings, and Cecile would help organize events to raise money for the synagogue and its works,” Nussbaum recalled. “She taught herself and practiced shorthand. She brought home a book, listened to the news on the radio and took shorthand notes, then listen again and checked if she had done well. “She practiced touch typing at home, even though she didn’t have a typewriter. She took a board and with a dime made circles and filled in the letters to practice at home.” She worked first in a lawyer’s office, and then for RCA Victor, in what today would be called human resources. Adds Nussbaum, as a result, Cecile Klein was able to get jobs at RCA for her uncles during the depression. Cecile married Erwin Isaac Klein, a pharmacist who graduated with the last cohort trained at McGill. When they got engaged, Nussbaum said, Cecile introduced Erwin to her great grandmother, a sign of the Pearson family’s deep roots in Canada and family longevity. Erwin Klein had a pharmacy across from Windsor Station, but “because of the Depression it didn’t last too long,” Nussbaum recalled. Cecile and her family were actively involved as volunteers going door to door with her father to offer help to those suffering during the typhoid epidemic that ravaged Quebec and Montreal from January to June 1927. “My grandmother would do the cooking and they would bring food to the families,” Nussbaum recalled. When the pharmacy failed, Klein launched International Drugs, a manufacturer that sold drug products such as envelopes of Aspero that used to be carried in restaurants, usually on the wall behind cash registers. In 1949 the German pharmaceutical giant Bayer bought out her father and the International Drug brand. Erwin Klein worked at the Getz Pharmacy at 1024 St. Laurent in the heart of China town, and on the job learned Mandarin, which turned out to be useful when the couple visited China long before it became popular. From Notre Dame the Efros family moved to Olivier St. in Westmount, and when she got married in1932 Cecile moved to Park Extension and then in 1948 to the duplex on Clanranald and Dupuis, where she lived until her fall last year. She was active in the Shaare Zion Synagogue on Côte St. Luc Rd. and then the Chevra Kadisha Bnai Jacob Sisterhood on Clanranald. Nussbaum says there are no secrets to her mother’s long and healthy life. She downhill skied in winter and played tennis in summer. With her husband – he was 94 when he died in 1999 – Cecile loved travelling, including a two-month North American tour in the 1970s, with backpacks, thanks to a Greyhound Bus $149 deal. She lived at home until she fell last fall, cooking her own food, and attended every Mini-Med in the spring at the Jewish General until two years ago, and loved to listen to scientist Joe Schwartz’s lecture on the first Mondays of the month at the CôteSaint-Luc Library. 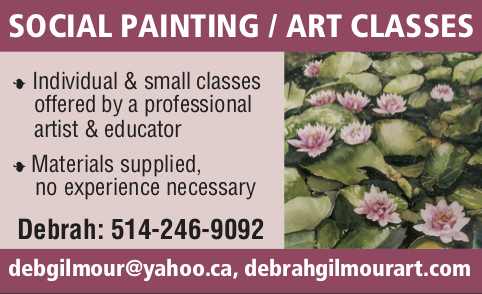 “I would take her for groceries and to the Beth Ora Seniors on Tuesday afternoons for lectures,” Nussbaum recalled. She liked to visit art exhibits at the Museum of Fine Arts. When she was 102 she went on a cruise along the Mexican Riviera, and at 103, took a cruise to Alaska, where there was an amusing incident. Be the first to comment on "At 111, Cecile Klein is a witness to Montreal history"